VORG Express is a free organizer. Its interface resembles Microsoft Outlook. It will let you organize your Contacts, Tasks, Calendars, Notes and Documents. You can use VORG Express to configure your tasks and monitor their progress. The program will let you also group your tasks in categories, to schedule and monitor your projects in a timeline. The program includes a scheduler that features several calendars, events that recur, resources and reminders. Events can be presented in a grid or in daily, weekly and monthly views. You can always print any view you like. You can take any number of notes, simple or complex. The program lets you customize the background, use rich text, hyperlinks and of course pictures. Folders and Sub-folders can be used for better management. Diagrams lets you manage and relate visually your objects. Objects such as Contacts or Documents can be attached to Tasks and Events. Various Outlook versions can be synchronized with VORG, and full text search is available everywhere, along with custom filters. VORG Express provides several Report templates which you can customize if you need to. VORG Express supports a lot of languages, including Spanish, German, French, Italian and Romanian. 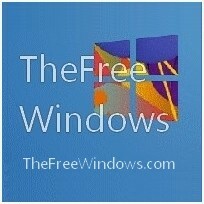 * You may like also to check this Power Do Task Manager Sidebar Gadget.